Doctor Who was on trial both on-screen and off in 1986. You'll recall that in 1985 Michael Grade chose to 'rest' Doctor Who Who for a while. There has been much debate as to precisely what prompted this decision. Almost certainly one of the deciding factors was the levels of violence seen in the show during Colin Baker 's first season. There had been characters who had had their hands crushed or shot off, characters thrown into acid baths and, perhaps most shocking of all, the Doctor kills a character with his own hands. This level of violence in the programme, coupled with general concerns about about the cheap and tired look of the show compared compared with other programmes of the time seem to be the main factors behind Grade's decision to rest the show. Whatever Grade's reasons, the upshot was that, in 1986, for the first time ever there were no new episodes of Doctor Who broadcast in the early months of the year. 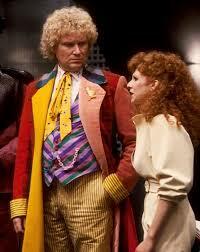 Instead fans had to wait until the Autumn for Colin Baker 's second (and ultimately final) season. Producer John Nathan Turner had decided to scrap all of his original plans for the season -plans that were being worked on when the series went on a break. Gone were stories like 'The Nightmare Fair' and 'Mission to Magnus'. 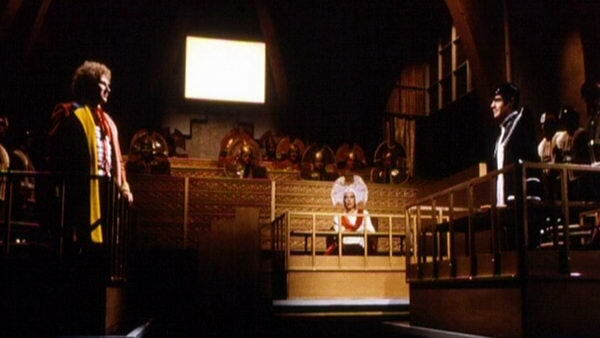 In their place was 'The Trial of a Time Lord', an epic fourteen episode story that would run across the whole season. 'Trial...' opened in spectacular fashion with an impressive sequence showing the TARDIS being captured and pulled inside a huge space station. The space station belongs to the Time Lords and the Doctor has been called there To go through what starts out as an investigation into his interfering ways. Presiding over events is the Inquisitor, played by Lynda Bellingham, while the case for the prosecution was handled by the black robed Valeyard, played my Michael Jayston. 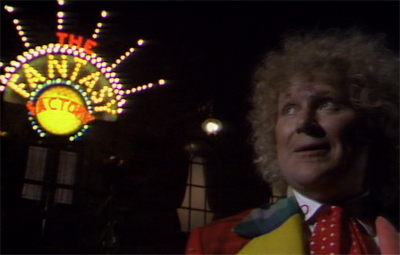 Although broadcast under one title, 'Trial of a Time Lord' was really four separate stories with an overarching plot. Each of the four stories were given individual titles behind the scenes but these titles were never shown on screen. The first four episodes of 'Trial...' we're written by veteran writer Robert Holmes and were titled 'The Mysterious Planet'. In these episodes the Valeyard opens the case for the prosecution by showing the court an adventure from the Doctor's recent past. The story he shows concerns the Doctor and Peri travelling to a planet called Ravalox that has been devastated by solar flares. 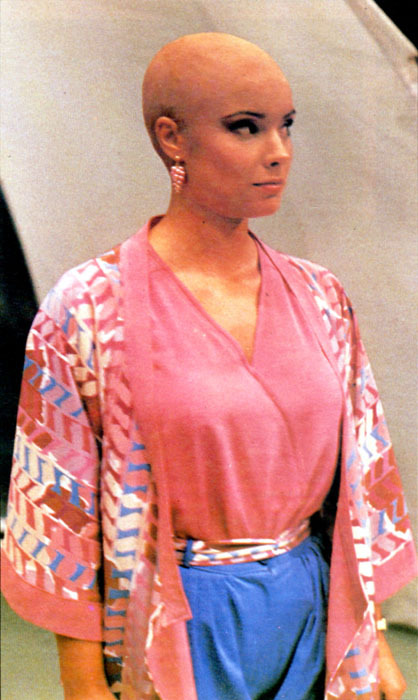 At this point in the proceedings the Doctor in the court room wonders why Peri isn't there with him. Her whereabouts are a mystery that will be explained later. Meanwhile on Ravalox, the Doctor and Peri have discovered that Ravalox is really Earth transported through space and that the remaining humans on the planet are split into two factions: the primitive Tribe of the Free, led by Joan Simms, and a group of more technologically advanced humans living underground and ruled over by a giant robot called Drathro. Peri and the Doctor also meet two mercenaries (yes, more mercenaries) called Glitz and Dibber. The two con men are looking to steal some 'secrets' from Dratho. Although the precise nature of these secrets isn't made clear at this point in the story, we do find out what they are at the end of the season. Glitz and Dibber succeed in stealing the secrets but the secrets are then destroyed when Drathro is shut down by the Doctor. Drathro's destruction leaves the humans under his control finally free. So all ends well except for a few unanswered questions: why was Earth moved across space and renamed Ravelox? What were the 'secrets' that Drathro guarded? And, most pertinent at the moment, why isn't Peri with the Doctor in the trial room? The answer to last question is found in the next 4-episode segment of the Trial. The four episodes - collectively known as 'Mindwarp' see the Valeyard produce his latest piece of evidence against the Doctor. This time the events he shows to the court are those that the Doctor was caught up in when he was summoned to the trial. The Doctor and Peri have arrived on the planet of Thoros Beta which is the home world of Sil, the slug-like creature seen in the previous season's 'Vengeance on Varos'. Sil is trying to find a suitable host for the brain of his leader, Kiv, who is dying. Also present on the planet is King Yrcanos from the planet Krontep. Yrcanos is played by the one and only Brian Blessed who gives a typically subtle and understated performance. Alright, he shouts a lot. Peri is kidnapped by Sil and is to be the new host body for Kiv. The Doctor and Yrcanos (who is in love with Peri) mount a rescue mission but, the last moment, the Doctor is summoned away to the trial against his will. The Time Lords intervene to stop the brain experiments and use Yrcanos as a weapon to kill everyone involved in the experiments - including Peri, whose body is now host to the mind of Kiv. The Doctor, watching all this unfold in the court room is, needless to say, horrified. Peri's final fate - or is it? After the end of Peri's final episode (episode 8 of 'Trial...' for those keeping count) a photo of Bonnie Langford came up on the screen and the voice over person announced that she would be joining the programme in the following week's episode. This probably wasn't news to most of the five million or so people watching the TV at the time as the announcement of Bonnie as the new companion had been announced sometime earlier. But it was nice to be reminded. On-screen, the trial continues in episodes 9-12 (also known as 'Terror of the Vervoids') where the Doctor is finally able to mount a defence. His defence comes in the form of an adventure from his own future with his argument being that in the future he becomes a better person and doesn't interfere as much. In this story, the Doctor and new companion, Melanie 'Mel' Bush (played of course by Bonnie Langford), arrive on board a spaceship to investigate a Agatha Christe-style murder-mystery. This story is supposed to take place sometime after the Doctor and Mel have first met so, as a consequence we know very little of Mel's background or her motivation for travelling with the Doctor. She's just there. Because of this lack of background Mel comes across as a very cliched and stereotypical companion - the type that goes around asking questions, getting into trouble and screaming a lot. 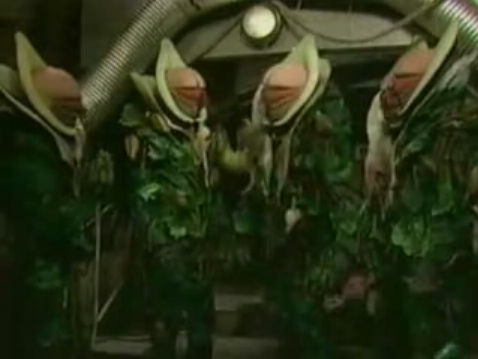 Despite unmaking the murderer(s), the Doctor has to also contend with the Vervoids, plant creatures who were travelling in the spaceship's cargo hold. The Vervoids are going around killing the remaining members of the ship's crew and passengers. The Doctor, left with no choice but to interfere, devises a way of destroying them. Back in the court room, the Valeyard accuses the Doctor of genocide, the Doctor having destroyed every Vervoid in existence, and calls for the Doctor to be executed. This all leads into the final two episodes of the season: 'The Ultimate Foe'. These final two episodes, where all the questions are answered, was to have been written by Robert Holmes but he died shortly after completing the first episode. Script editor Eric Saward was then going to write the second episode but, after falling out with John Nathan Turner, he quit the series. It was down to the writing team of Pip & Jane Baker (who'd also written 'Mark of the Rani' the previous season as well 'Terror of the Vervoids') to come up with the final episode of the season. All they had to go was Robert Holmes's first episode - they had no idea how he'd originally intended to end it. What we end with then is a story of two halves. The first half, written by Holmes, sees two character witnesses brought to the trial to assist the Doctor. The two witnesses are Mel and Glitz. They've been brought to the trial by none other than the Master who is somewhere inside the Matrix on Gallifrey and watching proceedings. 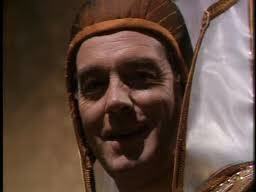 It's the Master who reveals that the Valeyard is none other than the Doctor himself. Or at least a version of the Doctor made up of all the darkness and evil that's inside the Doctor. The Doctor's dark reflection if you will. With his identity revealed, the Valeyard escapes into the Matrix with the Doctor and Glitz in hot pursuit. Mel, on the other hand, does next to nothing in this first episode. I suspect that Robert Holmes really disliked the character as he gives her all the worst lines and sidelines her in favour of his own creation, the far more entertaining Glitz. In the second, Pip & Jane Baker written, episode the roles are pretty much reversed. Much of these final two episodes take place in the Matrix, within a Dickensian style fantasy world created by the Valeyard. The Doctor is 'aided' by the Master who wants to set the Doctor and the Valeyard at each other's throats so that they'll wipe each other out. In the final confrontation though it's just the Valeyard who's seemingly destroyed. And so ends the longest Doctor Who story ever made and everyone lives happily ever after - even Peri who it turns out isn't dead after all but has gone off to marry Brian Blessed. Surely a fate worse than death. As for the Doctor: the last we see of him is him leaving in the TARDIS with Mel (who is from his own future so he hasn't technically met her yet). 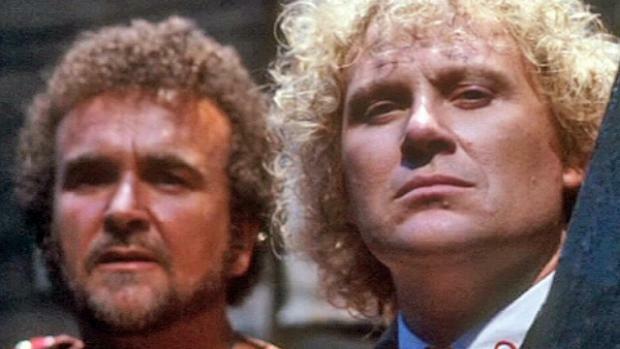 As we now all know that was the last we saw of Colin Baker in the role as, a short time later he was sacked, apparently at the request of Michael Grade. 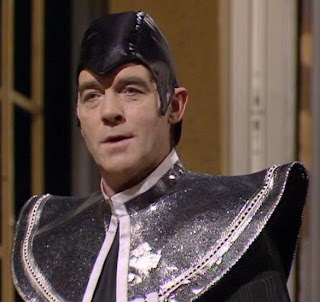 And the Valeyard? No he's not dead either. For reasons that have never been explained he appears to have cheated death by taking over someone else's body (similar in a way to what the Master did back in 'The Keeper of Traken'). Sadly the Valeyard has never been heard of again, at least not on TV. Perhaps the 50th Anniversary Special later this year will tie in the Valeyard to the John Hurt Doctor but I'm not holding my breath on that. Two of my favourite stories were released on video this year: Jon Pertwee's 'Day of the Daleks' and Tom Baker's 'Robots of Death'. There were also further releases in the Myth Makers series of interview videos. These releases featured interviews with Wendy Padbury (Zoe), Michael Craze (Ben), Sarah Sutton (Nyssa), Deborah Watling (Victoria), Ian Marter (Harry) and script writer Victor Pemberton. The only record of note released this year was a single of the new version of the theme tune by Dominic Glynn's. This was specially commissioned for the Trial season and, after the season finished, it was never heard on the TV series again. 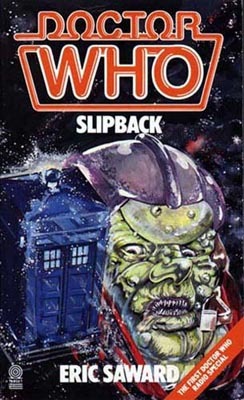 Lots of novelisations were released in 1986 covering a variety of Doctors. 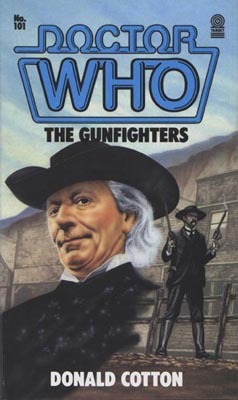 So, for the First Doctor we had 'The Gunfighters', 'Galaxy Four', 'The Savages' and 'The Celestial Toymaker'. For the Second Doctor there was 'Fury from the Deep' and 'The Seeds of Death'. The Third Doctor was represented by 'The Time Monster' while the Fifth had 'The King's Demons'. Finally, the Sixth Doctor had four books released: 'The Twin Dilemma', 'Timelash', 'Mark of the Rani' and the radio story, 'Slipback'. In almost all cases, bar 'The Time Monster' and 'The Seeds of Death', the books were written by their original TV authors. The two other books were written by the ever-reliable Terrance Dicks. 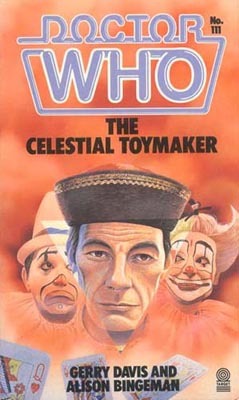 In addition to the regular novelisations were two special novels. 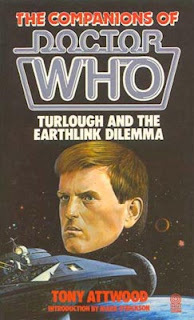 Branded as 'The Companions of Doctor Who', these two books were original novels as opposed to novelisations and looked at the lives of two of the Doctor's companions after they'd left the Time Lord. The two books in question were 'Turlough and the Earthlink Dilemma' and 'Harry Sullivan's War'. 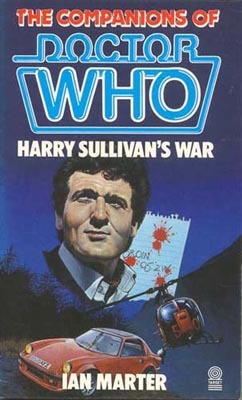 'Harry Sullivan's War' was written by actor-turned-novelised Ian Marter who had played Harry on screen. For those who were still playing the Doctor Who Role-Playing Game (and presumably someone was) several additional modules were released to accompany the game. FASA, the company behind the game also released two Adventure Game books. These two books - 'The Vortex Crystal' and 'The Rebel's Gamble' - were similar to the Fighting Fantasy gamebooks that were so popular in the mid to late Eighties. One big advantage that these books had over the Fighting Fantasy series was that you didn't need to roll dice when fighting a monster or making a critical decision in your game. Each page of the book had a random number in the corner of the page. So, if you didn't have a dice to hand all you had to do was flick the pages of your book, wherever you stopped, the number in the corner of the page was your 'dice roll'. In addition to these game books there was also a series of similar books for younger readers. The series was called 'Find Your Fate' and, similar to the 'Choose Your Own Adventure' series of books also popular in the Eighties, didn't require dice at all. On the non-fiction front, there were several books released. 'The Early Years' by Jeremy Bentham told the story of the creation of the series. Peter Haining produced 'The Doctor Who File': another big book about the series that was strangely similar to his other books. 'Travels Without the TARDIS' was a handy paperback guide to the many locations used in the filming of the series. Finally, John Nathan Turner wrote a follow up to 1985's 'The TARDIS Inside Out' entitled 'The Companions'. I think you can guess what it was about. The comic strip story that had begun with 'Exodus' in December 1985 continued with 'Revelation' and 'Genesis'. The Doctor, Peri and Frobisher to the planet where the refugees they had previously encountered came from. There they find a group of scientists engaged in experiments within an old castle. 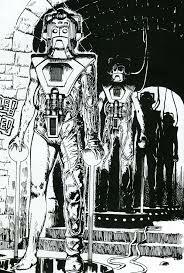 However one of the scientists is hiding a secret: a group of deactivated Cybermen that he has rebuilt and is using to commit murder. The Doctor uncovers the plot and the Cybermen are destroyed. In addition to this there's a new development for Frobisher. Concerned that his shape shifting ability might become a convenient solution for any situation the characters got into, it was decided to restrict his powers. At the end of 'Genesis' Frobisher is struck down with monomorphia, a disease that meant he couldn't change anymore and was stuck in the shape of a penguin. From here on, there was no one regular writer on the comic strip. Writing duties were rotated between three or four different writers. The first of these stories was 'Nature of the Beast' written by Simon Furman who was, at the time, also the main writer for the incredibly popular Transformers comic, a job that he's seemingly never stopped doing as he's been writing about Transformers for close to thirty years. 'Nature of the Beast' was werewolf tale given a futuristic twist and was voted the best comic strip of the year by readers of Doctor Who Magazine. 'Time Bomb' was next up, written by Jamie Delano, another writer who has gone on to bigger and better things since, such as 'Hellblazer' for DC Comics. The story sees the Doctor and Frobisher, minus Peri on this occasion, encountering an alien culture trying to eradicate all imperfections from their race by sending anything less than ideal into the dim and distant past. However it's these actions that ultimately, and ironically, causes the race's downfall as the past comes back to haunt them. Following 'Time Bomb' was a one-part story called 'Salad Daze' which sees Peri having a bizarre Alice in Wonderland inspired dream, with all of the characters replaced by vegetables. To the Doctor's delight, this is enough to put Peri off forcing him to eat salad. 'Changes' was a two-part strip from a writer new to the strip, Grant Morrison. Morrison was yet another writer who was cutting his teeth on things like Doctor Who before moving on to bigger and better things, most recently Batman. 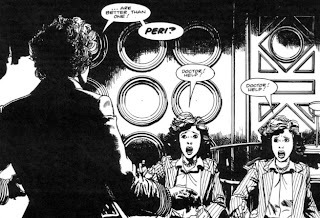 The story, which features both Peri and Frobisher with the Doctor, sees them hunting down an alien shape shifter that smuggled itself on board the TARDIS. Finally, the year came to an end with the first part of a three-part story called 'Profits of Doom' but that's for next time.